What happens when your workflow isn’t as efficient as it should be? Workflows are designed to improve processes and productivity, but when that doesn’t happen, it’s up to the process owner to figure out whether or not there’s a bottleneck happening. Bottlenecks can occur for any number of reasons, but recognizing these bottlenecks can be challenging, but necessary for success. Here’s how to identify workflow bottlenecks and resolve them quickly. What Is a Workflow Bottleneck? Business process bottlenecks occur when demand outweighs production capacity. Bottlenecks can happen for any number of reasons, such as out-of-date equipment, inefficient labor, or scarce resources. Short-term bottlenecks – These are caused by temporary problems. A good example is when key team members become ill or go on vacation. No one else is qualified to take over their projects, which causes a backlog in their work until they return. Long-term bottlenecks – These occur more often. An example would be when a company’s month-end reporting process is delayed every month, because one person has to complete a series of time-consuming tasks. Identifying and fixing bottlenecks is important to improving the productivity of both the workflow and the organization as a whole. Bottlenecks can cause a lot of problems if left unchecked, such as lost revenue, dissatisfied customers, wasted time, poor-quality products or services, and high stress in team members. So how do you know if you have a bottleneck? 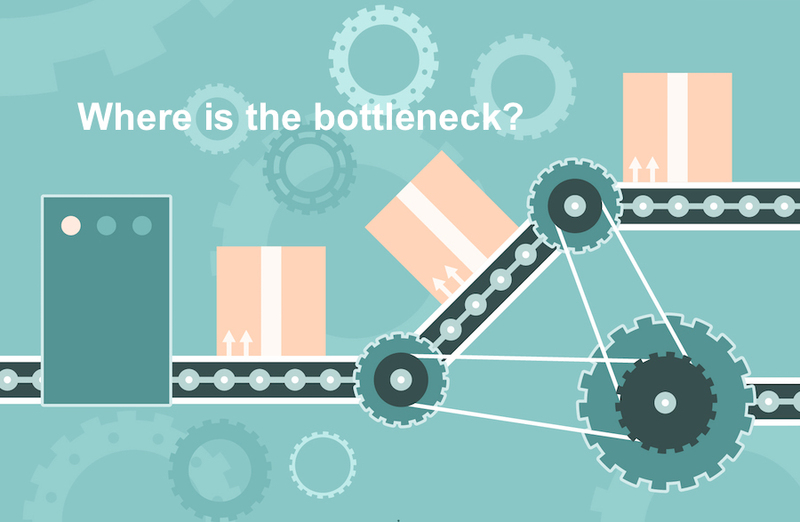 Identifying bottlenecks can be easy if it’s obvious enough, like an actual backup on a manufacturing line, for example. But pinpointing bottlenecks for other business processes usually takes a bit of critical thinking. You want to look at two key areas of your workflow to find any slow downs: performers and systems. Performers are any people (employees, third-party vendors, etc.) that are involved in the workflow in some capacity. Systems are any programs, technology or software that handle tasks related to your workflow (uploading and scanning files, etc.). To identify performer-based bottlenecks, look at the time it takes to perform a task. 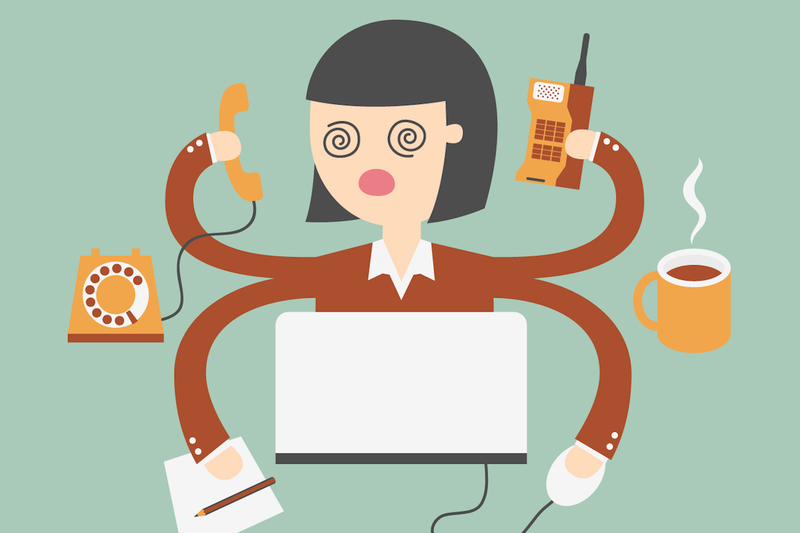 If a certain task should take a limited amount of time to complete, but is regularly taking longer than it should, you may have a performer issue. Does it take 10 minutes to put documents in order? 12 minutes for data entry? 5 minutes to approve a load? Time is an indicator that things could be improved, like through automation. Another good way to determine this would be with a BPM simulation. When you specify the workload for each workstep, simulation results should be able to tell you whether or not there’s a bottleneck and where it exists. Look through your logs and internal data to see if there are processes left incomplete. If the process is waiting on a person – a sign-off, for example – then it is a performer-based bottleneck. If the process is delayed due to an uploading error, slow system, or other technology-related cause, it’s a system-based bottleneck. A good indication of a system-based bottleneck is frequent user complaints about certain programs or systems. If you suspect you have a bottleneck somewhere in your workflow, the next step is to take action to remove the blockade. The best way to find and eliminate bottlenecks is to map your processes. Process mapping looks at the entire workflow to analyze whether or not everything is working the way it should. It also allows you to identify the existing bottlenecks or potential bottlenecks that may appear if the workflow should change for some reason (switching employee roles, for example). To start the mapping process, you need to have a good flowchart. We typically recommend swim lane diagrams for their efficiency at pinpointing bottlenecks you may not otherwise notice. You may also need to perform a workflow audit. This process will involve creating a list of steps in each workflow, determining the results that the workflow should achieve, and monitoring the workflow to see whether or not it’s meeting standards. 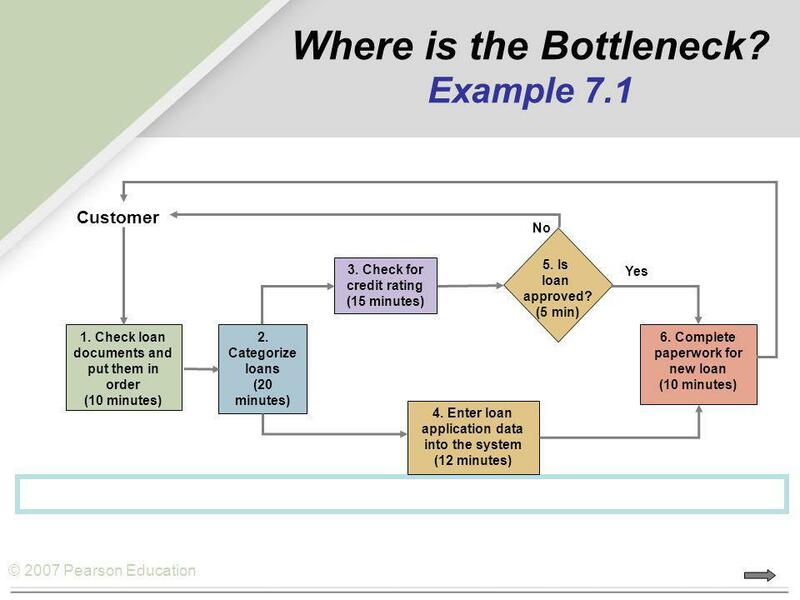 After you have created a flowchart and you’ve performed a workflow audit, you should see where your bottlenecks are occurring. Once you know what the bottleneck is, you want to unblock it. Once you have removed the bottleneck, you should see your productivity improve. This will require monitoring your workflow and tracking results. If you’re still not seeing the results you want, perform another workflow audit and consider re-doing the workflow from scratch. You may simply have an outdated workflow that no longer serves your goals. It may also be helpful to get employee feedback regarding any potential workflow bottlenecks that could be resolved with automation. If your bottleneck is happening due to human limitations, the above list may give you clues as to what you can automate for better productivity. Some bottlenecks will be easier to see than others. For the more difficult bottlenecks, performing regular workflow audits can help identify and minimize their impact. You should also be mapping out any processes you have in order to ensure that your workflows are designed for maximum efficiency. Some bottlenecks may be the result of poorly designed workflows, and the only way to know for sure is to map everything out first to see for yourself. How do you know if you have an actual bottleneck? You will probably notice these signs. Subscribe to get this free resource.